This is a rectangular Colorado Fence porcelain sign. This particular Colorado Fence sign is predominantly white with red and black text. 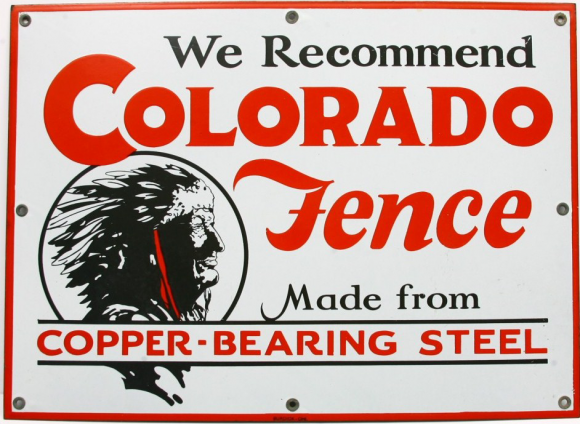 It reads, “We Recommend Colorado Fence, Made from Copper-Bearing Steel” and features an elderly Native American chief in the lower left corner.